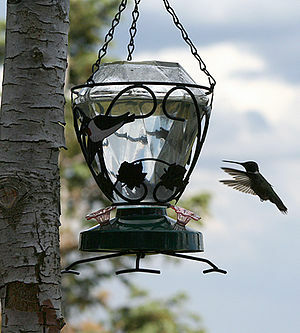 Me to Dear Childhood Friend: You have so many hummingbirds at your hummingbird feeders. They’re beautiful! And your water is clear rather than red! I thought they liked red! Dear Childhood Friend to Me: Yeah. They say the red food coloring is bad for them. So I don’t use it. Food counts. Don’t think it doesn’t. This entry was posted in Odds and Ends and tagged ADHD, children, hummingbirds, red food dye on August 9, 2013 by thehomeschoolingdoctor.